Before making Sharkwater (2007), Stewart spent four years travelling the world as chief photographer for the Canadian Wildlife Federation’s magazines. Leading expeditions to the most remote areas of the world, Stewart has logged thousands of hours underwater using the latest in camera and rebreather technologies. Stewart’s highly sought after images have appeared in nearly every media form worldwide. When Stewart boarded Sea Shepherd’s ship, Sharkwater took a turn from a beautiful underwater film into an incredible human drama filled with corruption, espionage, attempted murder charges and mafia rings, forcing Stewart and his crew to become part of the story. During filming, Stewart encountered life threatening obstacles, including diseases such as West Nile, tuberculosis, dengue fever and flesh eating disease. 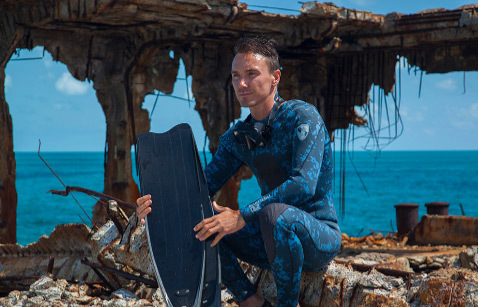 Sharkwater has been enormously successful, premiering at the Toronto International Film Festival and winning a “Canada’s Top Ten” award. Sharkwater made history with the largest opening weekend of any Canadian documentary, and was the most award-winning documentary of the year, winning over 35 awards at prestigious film festivals around the world. Stewart continues to work towards conservation and environmental education, speaking at the University of Victoria, Yale University, Vancouver Aquarium, ROM, various TEDx events, and others. Stewart’s second film, Revolution, again premiered at TIFF and released worldwide in 2013. This groundbreaking documentary has received both critical and audience acclaim and numerous international awards.